Username or Email Address Password Remember Me? 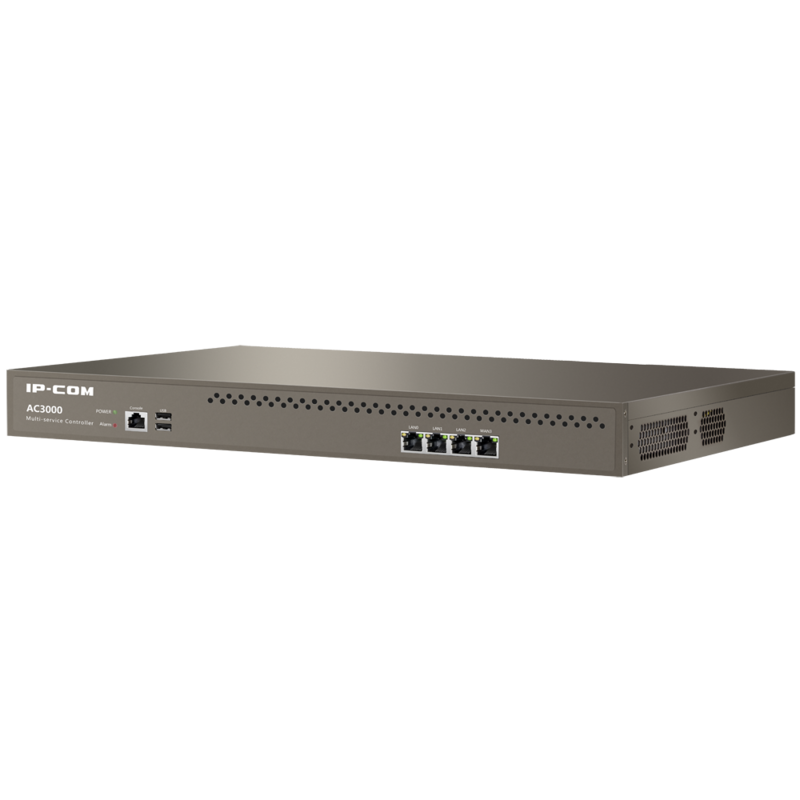 The IP-COM AP controller AC3000 is designed to provide a network solution for hotels, resorts, large enterprise, shopping mall chains etc. AP management features including concentrate forwarding and distribute forwarding, AP group setting, WLAN Radio Spectrum Analysis, map plans, auto channel and power assignment, user load balance, built-in captive portal server enable it to deliver Wi-Fi Marketing features including a customised welcome page and redirect page which can be SSID and even client device specific, up to 50000 users authentication, statistics for connected device type and users. The AC3000 can also be used in a distributed site deployment with a 'master' controller and distributed controllers deployed in multiple branches or remote locations so that an administrator can install, manage and monitor APs at a single location. 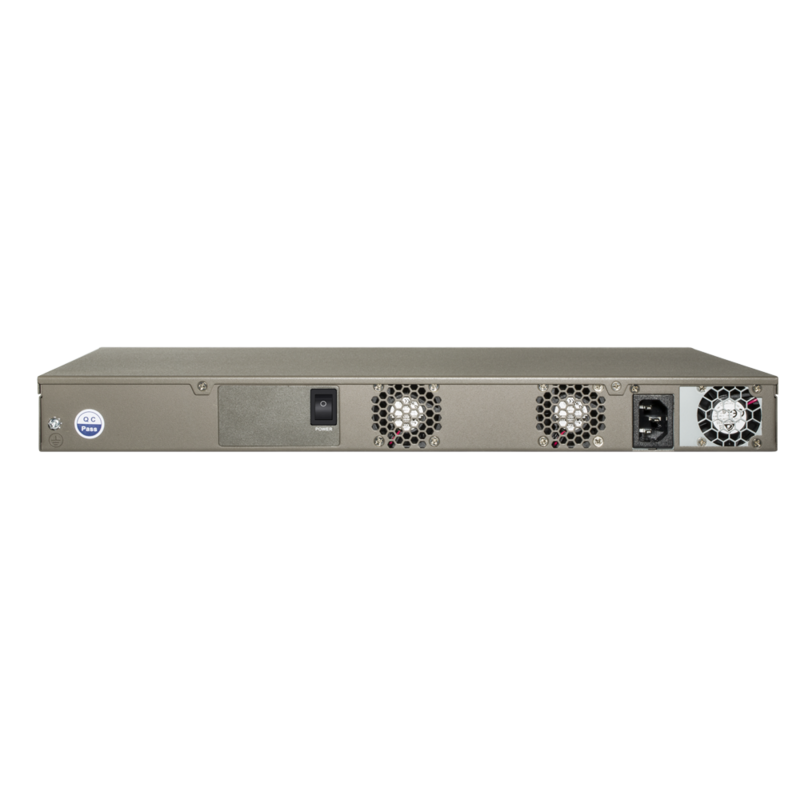 The AC3000 adopts a powerful Intel CPU and X86 software platform with a traffic forwarding capacity up to 8Gbps and it's management of 3000 APs. The AC3000 supports centralised forwarding mode or distributed forwarding mode. When in centralised forwarding mode, all wireless traffic will be forward through the AC for processing. This gives maximum traffic control but, for very large systems the forwarding capability of the AC may become a bottleneck. This is especially true on wireless networks where APs are deployed at branches, ACs are deployed at the headquarters, and APs and ACs are connected over the internet. To solve that the AC3000 can also work in distributed forwarding mode where all wireless traffic is forward to the gateway directly. However in this configuration the AC cannot provide traffic control as good as the centralised forwarding mode. The AC3000 features a radio spectrum analysis and optimization system. This can help increase the number of concurrent sessions in high-density applications and help streaming media applications and QoS through type and protocol based RF optimisation. When deploying APs in a WLAN, adjacent APs need to work over different channels to avoid channel interference. However, channels are a rare resource for a wireless LAN. 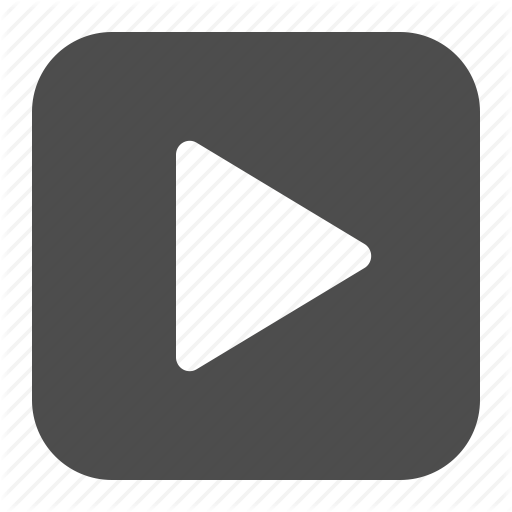 There are a small number of non-overlapping channels for the APs. Therefore, the key to a stable and efficient wireless application is allocating channels for APs intelligently so as to reduce interference from adjacent APs. The auto channel and power assignment features help ensure optimal channel and RF power between APs to deliver best WiFi performance. Generally a wireless client chooses an AP based on the Received Signal Strength Indication (RSSI). In practice this could mean that many clients end up choosing the same AP with the highest high RSSI. As these clients share the same wireless medium, the throughput of each client is compromised. The intelligent user load balance feature can analyse the connected clients of APs and dynamically determine which APs can share user load with adjacent AP to ensure the users are shared among the APs. 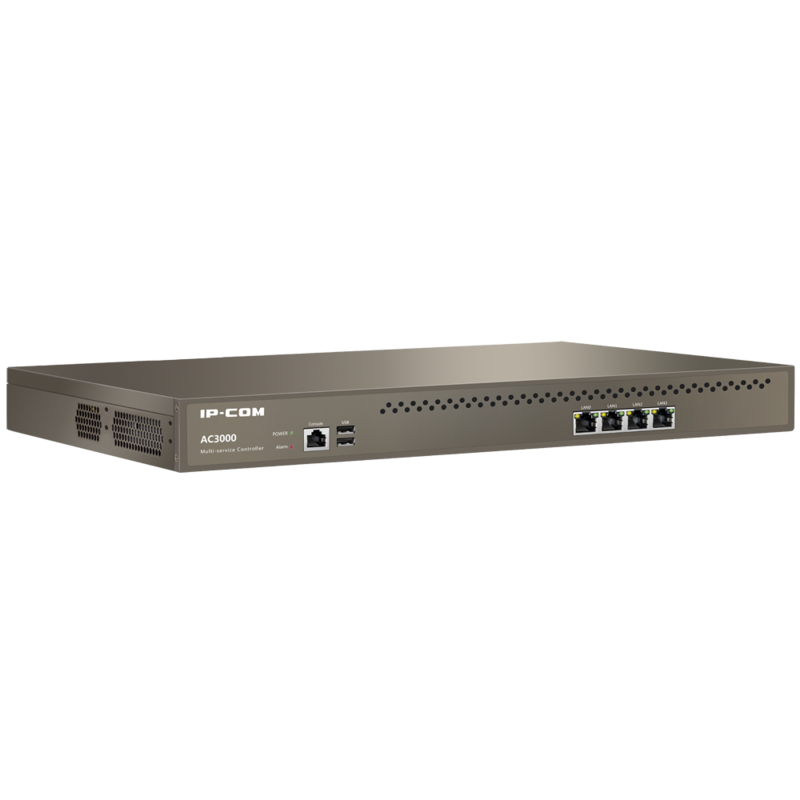 The AC3000 can work in centralised forwarding and supports Layer-2 and Layer-3 fast roaming to solve inter-subnet roaming issues. The fast roaming functionality allows wireless terminals to roam from one AP to another without following the complete 802.1X authentication process within 50 ms. The AC3000 provides map floor, network topology, online device statistics and analysis, user statistics and analysis etc through its visible graphic tool. The administrator can view and diagnose their network at a glance. 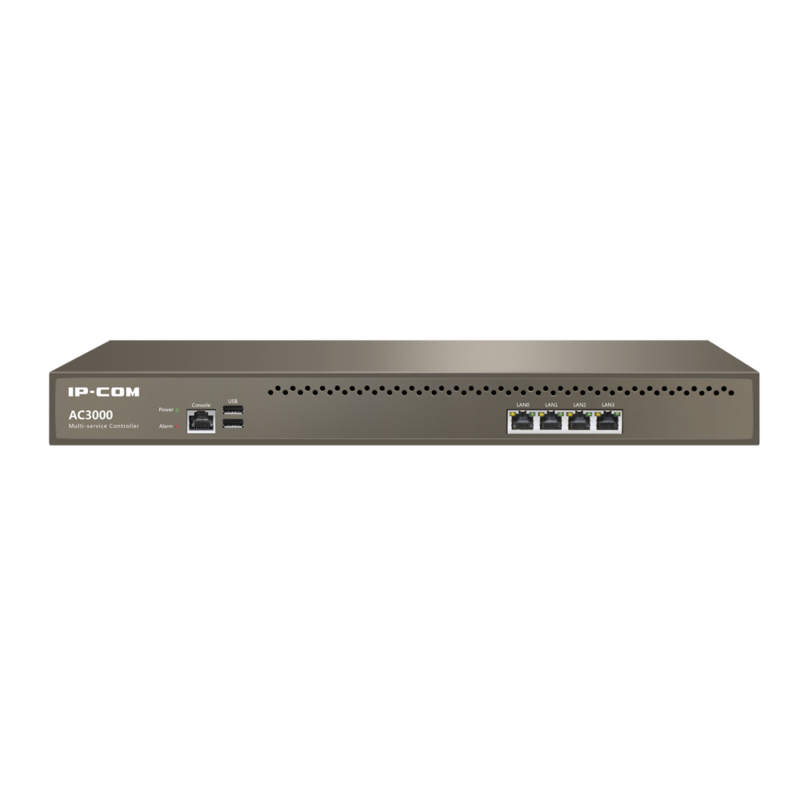 The AC3000 is of a 19 inch rackmount design which you simply connect to your existing network and can where you manage all APs visible on the network without needing to change any network topology.